The epoch of the Internet makes the access to any resource from any point of the world possible. We can log into our account from any device with the web connection. For this, we have to identify yourself in order to access our personal information. Usually, special Internet accounts are required for that. With the huge amount of them (and I can bet you have dozens of different accounts as well) people need to think of password management. It can become a serious issue for many users in our technology era. There is a plenty of changeable information that is often similar, but not always the same from acc to acc. A password management strategy (in simple words, having some management plan) will save you tons of time, keep your accounts secure and safe, and also will help to improve your own tech skills. 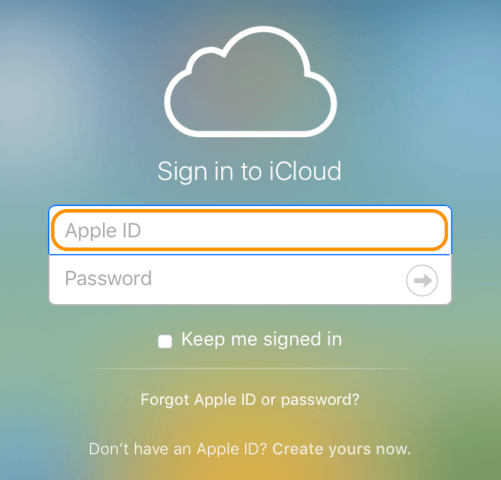 So, my article is for those Apple users who want to build a strong password management system. I'll share with you my tips and tricks, as well as useful software for that. Another issue may arise is differentiating the whole number of accounts. This moment is also better to be cleared up before we go further. Even if you use the same personal email for the majority of your accounts, it doesn't mean that your passwords will be the same for all the resources. In any case, I don't recommend you using the same password for all your accounts. It will be a plus for your security, and if someone will get your password, he won't have the access to all the resources you are registered on. The first question I get from people who want to have different passwords for various accounts is 'How to keep an eye on all of them? How not to be confused with such a great amount of them?' The secret is in remembering just one password that will give the access to all the extensive information. So, as you see, the password management strategy doesn't seem so scary now. But before we dive deeper into the details, I'd like to share some fundamentals with you. In general, it is always more comfortable to know how the system works before becoming an expert in it. 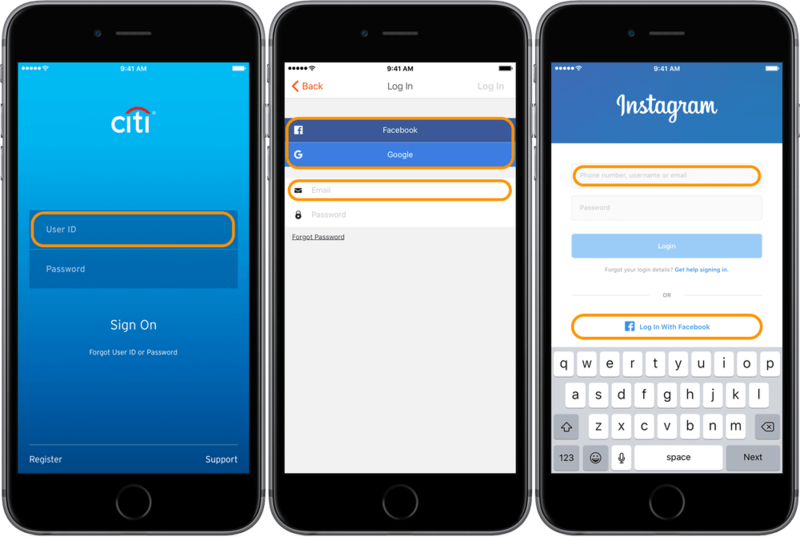 When you want to log into your account somewhere, you need to start with the user ID or a name. Many resources can be logged in with your email, phone number or simply a nickname you use on it. 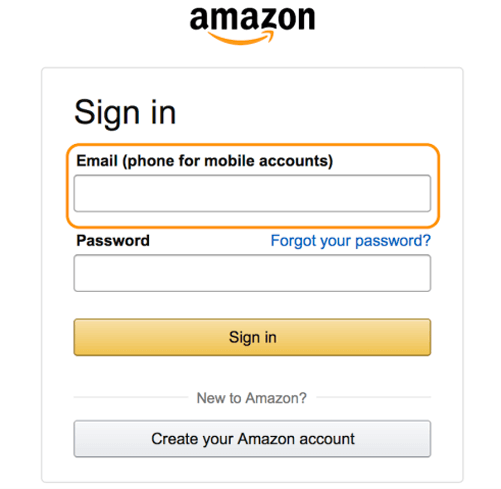 For instance, apple uses Apple ID while Amazon requires to log in with an email (or a phone, if you use a mobile account). Another handy function that is present on the majority of websites is an opportunity to log in with a Google, Facebook, Twitter or other accounts. You can see such an example below. I can bet that such an option is present in many other sites and applications. On the one hand, it is comfortable, as you need to log into one single account for accessing the others. However, this feature requires a strong and difficult password, as if you lose your access, for instance, to Facebook, you will lose it with many other resources and apps as well. Two-factor authentication or a strong verification process may help in this situation. I'll cover these topics a bit later. Like I've said earlier, each website has its own system of authorization, whether it is a nickname, email or user ID. Usually, you need to type them in on the first box that you see while entering the site. Financial services or other secure systems often have just a user ID, as Facebook-login option may be too insecure. Here is how it's called on the majority of websites: user or account name, user ID, login, email, login ID, phone number, screen name, account number and just name. In the majority of cases, you can choose your user ID by yourself, however, some resources generate it for you automatically. The field for your password is usually situated right below the username field, however, in some cases, you have to click on the 'Next' button and it will take you to the password window. Here are some synonyms of the phrase: key phrase, passphrase, access code, passcode, PIN code or just code. This question is often arisen by users who are a bit frustrated with the necessity of entering so many passwords. They often tell me that they don't care if someone else with access their iTunes account, as all they need from iTunes is getting apps. The main problem is your bank card ties to the account. Once your iTunes acc becomes hacked, a hijacker can get access to your funds or some important data regarding your financial cards. This is the security issue. So, a special password management system will secure not only your personal data, but your financial information as well. It will be more comfortable for you than just storing all your passwords on a piece of paper or not storing them somewhere at all. Nice software will make the process smoother and simpler. You won't need to remember all the info, but just one single password. You may already know about iCloud keychain that is a built-in option in MacOS and iOS. However, there are other variations from third-parties, which provide more flexible attitude to the system of saving password. My fav app is 1Password that is available both for MacOS and iOS. By the way, there are also Windows and Android versions of this applications. Besides passwords, it can store bank accs, passports, licenses and other important documents. You can organize your info into folders and tag it with keywords, customize your vaults, share them with others or keep personal and secure. Another great feature of this software is its 'Watchtower'. it alerts you when it sees that your account on a specific website can be compromised. When you get one, you can quickly react to this alert and change your passphrase to prevent the account hacking. So, as you see, with this app, your information will be safe. The software I described above offers paid versions, and if you don't want to pay for it, feel free to use something like iCloud keychain or the KeePass app. However, 1Password has a free trial and it is not too expensive for iOS - only $9.99. As for MacOS version, you will have to pay $64.99. Another useful feature that both services offer is automatic password generation. it may sound a bit weird for the first time, but it gives a chance to create really strong and secure passwords. The other handy option is that you can still create your passphrase by yourself. After we are done with the theory, let's create a 'To Do List' about what to do to keep your accounts secure and manage your passwords with ease. Think of your passphrases and accounts... Do you have some system of managing them or keeping a track on all of them? Are they up-to-date? Organize the data in one place. For the start, you may use a paper sheet, a text document on your Mac or a note on an iPhone or iPad. I recommend you using an electronic list, as this will be handy later. If you've forgotten your account data for a specific site, try to log in or reset your password. Do this to all your account you can remember, as you never know what you'll need tomorrow. This will save you time and nerves later. Choose a software option that is the most suitable for you and try to work with it. I think that the process will seem more comfortable from now. I advise you to try a free version of 1Password, however, free options are great too, as their aim is the same. Their goal is making your work with different accounts easier and handier.